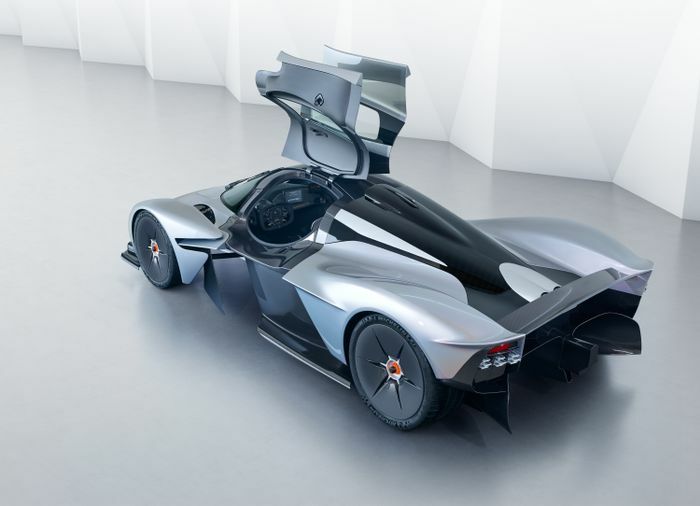 The Aston Martin Valkyrie could produce over 1800kg of downforce when it’s finally launched, according to reports, as genius designer Adrian Newey keeps finding improvements in the car’s aerodynamics. 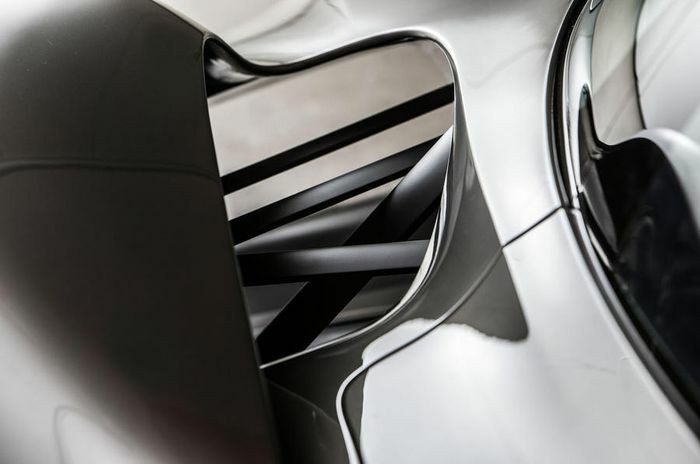 Previously it had been suggested that peak downforce would exceed the car’s own weight, allowing it to drive upside-down, but the latest word seems to indicate a phenomenal maximum of 1816kg, or 4000lb. 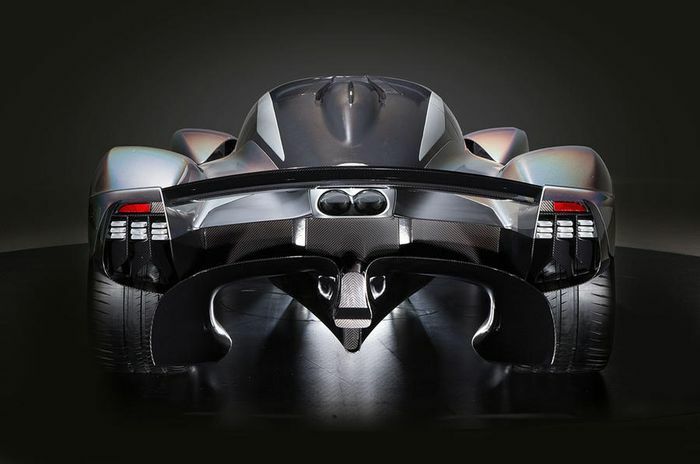 Among the latest upgrades to the 1000bhp+ hypercar are new holes cut between the front wheels and the passenger cell. 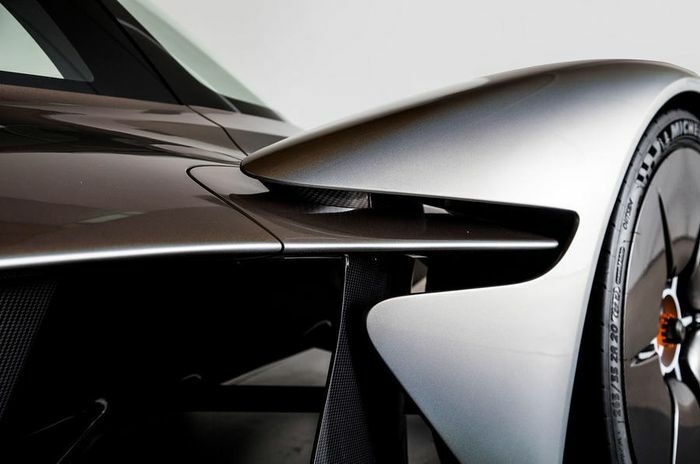 They help to work the front spoiler quite a lot harder, says Aston, as well as revealing the ‘wing-section’ suspension struts, which themselves are aerodynamically functional. “Much of what you see from outside is the actual structure of the car, which had to be signed off quite early. Non-structural areas were still subject to evolution as Adrian continued finding improvements. “Ordinarily, the last thing we’d want is to cut a hole in one of our surfaces, but these new vents work the front wings so much harder that we’ve found a significant gain in front downforce. 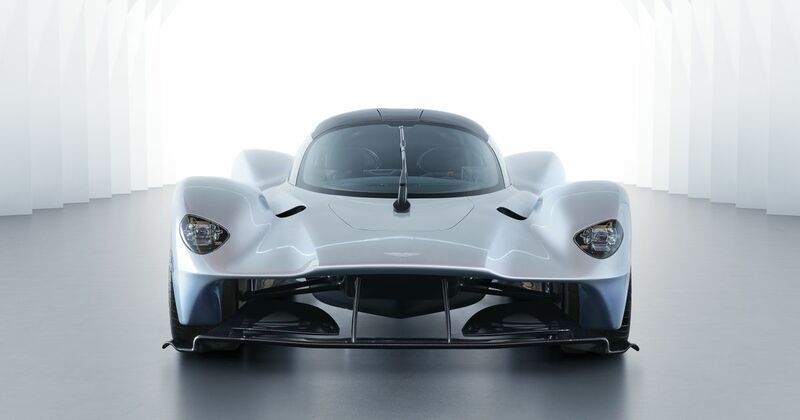 While the exact stats are still being finalised, the Valkyrie is said to produce over 1100bhp and weigh just over 1000kg wet. The hope is to match F1 car lap times around Silverstone and beat the likes of the Mercedes-AMG Project One. We can’t wait for the fight to begin.